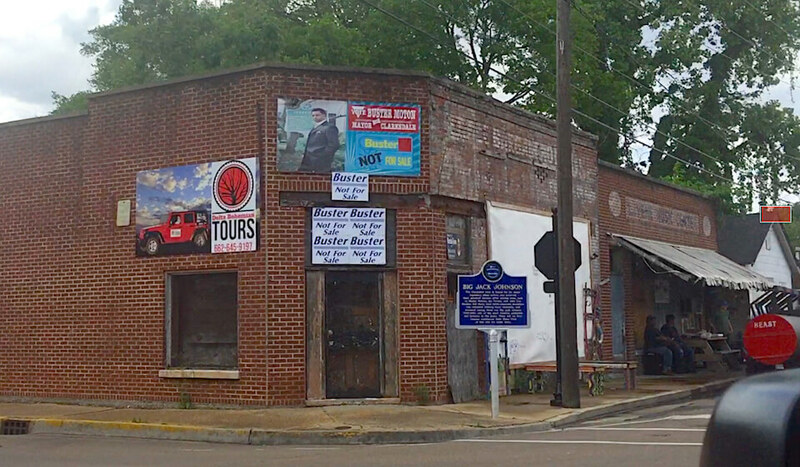 Clarksdale, Mississippi – VIDEO IN POST! Greetings from Clarksdale, Mississippi, heart of the MS Delta! Juke Joint Fest 2018 is upon us and Clarksdale is hoppin’ like a jumpin’ bullfrog in Calaveras County. Magical Madge and I have hastily thrown together a get-acquainted-with-Clarksdale video I took with an iPhone while riding around Clarksdale last year on the Friday before Juke Joint Fest 2017. The Delta Bohemian and all Clarksdalians welcome y’all to and back to Clarksdale for Juke Joint Festival 2018, one of the finest weeks anywhere in the whole wide world, where two jiggers of separation connect us all! #SeekTheDelta: It matters! And this post is for all our readers who cannot be here this weekend but want to reminisce about their time here. You will recognize many places and streets, like the Sunflower Strip where a new bar is opening this weekend next to Levon’s called the Little Red Rooster Dive Bar, or Delta, Yazoo and Issaquena Avenues, or MLK in the New World District or First, Second and Third Streets, or Clark Street, etc… See if you can name them as Chilly Billy rides through town in Clarksdale on the Friday before Juke Joint Fest 2017. We encourage everyone to #SeekTheDelta and visit us here in Clarksdale, Mississippi where we have live blues music 365 nights a year, 7 nights a week. Book a Delta Bohemian Tour with Chilly Billy. Stay with us at Clarksdale White House, Delta Bohemian Guest House or Clark House Inn. What a lovely tour! It’s funny how well I can still navigate these streets seven years after my last visit there. I get lost in Pennsylvania all the time. Where I haven’t been very much is the New World District. We miss seeing you, Steve! How cool the town still lingers with you!